I have the biggest sweet tooth. When it comes to dieting, no bread, less carbs- sure that’s easy. But no sweets? Oof. That’s a tough one! I was extremely humbled and excited to be asked to judge at the Gelato Festival this year. 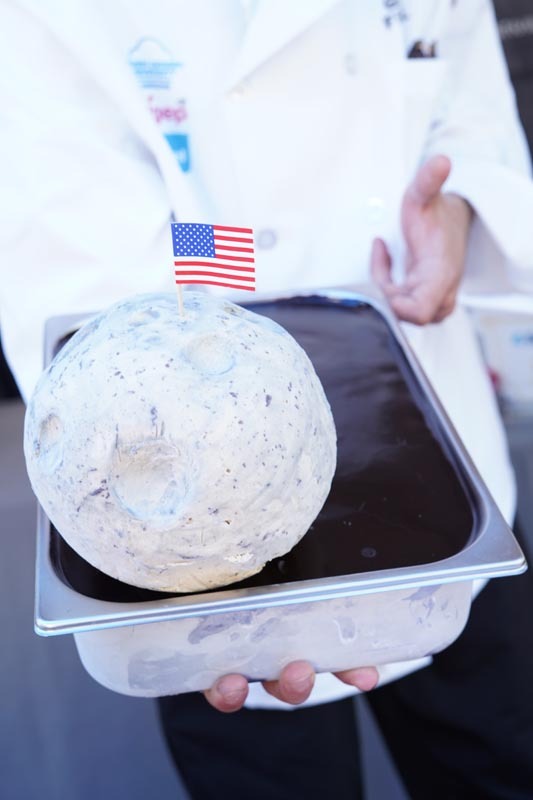 The Gelato festival has an American tour and an European tour. 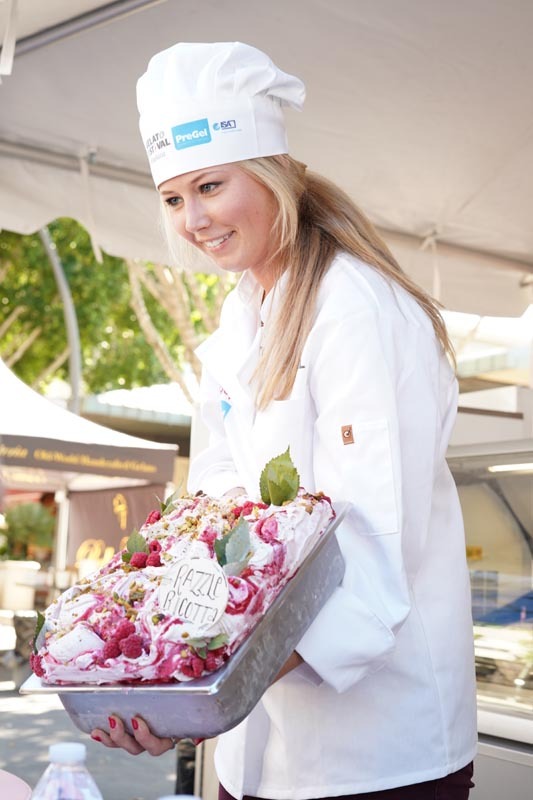 The festival goes to multiple cities where 4-10 chefs compete for the best gelato. There is 1 overall winner determined 50% by the judges and 50% by popular vote. The winning gelato gets to move on to compete at the Gelato Festival World Masters 2021. This is where the best gelato maker in the world will be crowned. The festival will have tackled 4 years of festivals and competitions once the World Masters starts. I hope I can get an invite to that one! 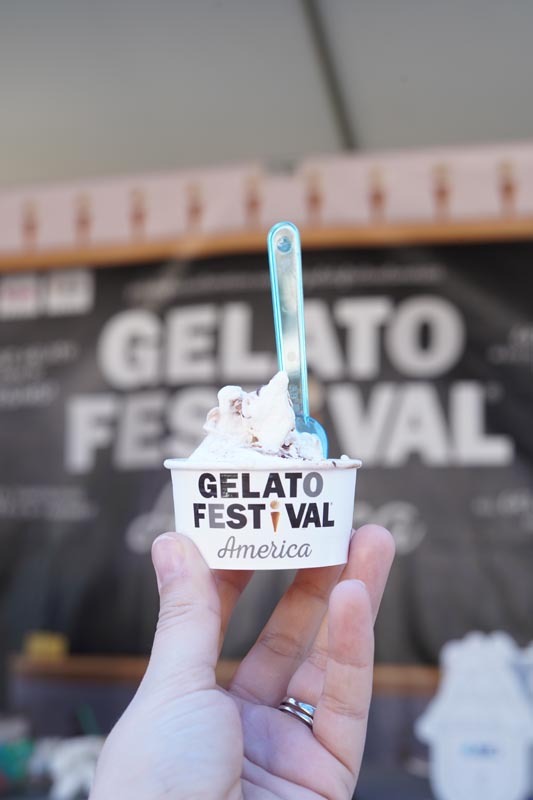 In addition to the competition, there are all kinds of other gelatos you can try at the festival. There’s the largest mobile lab that creates all the gelatos for the festival, and a stage where you can learn more about gelato. Entry includes all you can eat gelato- which is awesome. So many festivals just get you in, and I feel like you pay a high fee only to end up paying more for food. I though this festival was well run because you get to try gelato with your entrance fee-and not just that, you get to try as much as you want! So what’s the difference between ice cream and gelato? Ice cream is spun faster and because of that has more air, like a whip cream. Gelato spins slower for a denser product. This means less air, less fat, and it’s served at a warmer temperature. Gelato should not drip or be icy. It should have a great mouth feel and uses the best ingredients. The best gelatos not only taste good, but are aromatic. Pecans, caramel, chocolate, this velvety smooth gelato was a great start to the day. Daniela came all the way from Toronto to compete, and her hard work paid off as she was crowned winner of the festival. She took candied pecans which added crunch to the caramel gelato. To break up the sweetness, she used dark chocolate. Kathy wowed the crowd with her charismatic charm. She was bubbly and fun, and you could tell she has a lot a passion for crafting flavors. Overall, I enjoyed her presentation the best. Not only was she great at describing the product, but the gelato looked stunning. The Razzle Riccotta starts with Wisconsin milk ricotta cheese for added creaminess. Raspberries are run throughout with vanilla beans and pistachios for added crunch. This vibrant gelato had a lot of great textures. I’m a big fan or Luna Gelateria in general, so when they brought their chocolate heavy gelato I knew I was done for. Luna uses Sicilian pistachios for their pistachio gelato. The gelato is mixed with chocolate chips and decadent dark chocolate ganache. The bitter and the sweet contrast was one of my favorites! Gelato Cimmino opened the same day we were judging, so they definitely had their hands full. Their Cimmino Rock gelato featured a hazelnut gelato with notes of cinnamon and nutella. I love the nuttiness of this gelato, and I’m excited to try their new storefront. Overall, it was a really fun event and I learned so much about gelato! Let me know which was your favorite.